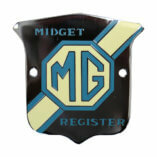 View Cart “Midget Register Car Badge” has been added to your cart. 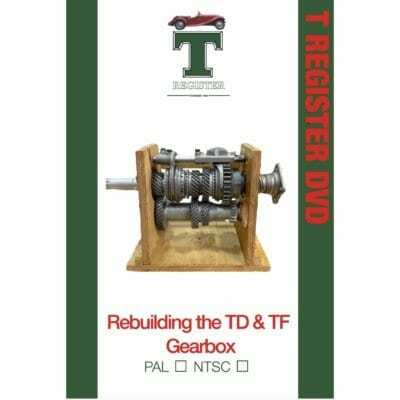 A two hour DVD featuring TD/TF Technical Specialist, Barrie Jones stripping and rebuilding the TD/TF Gearbox. 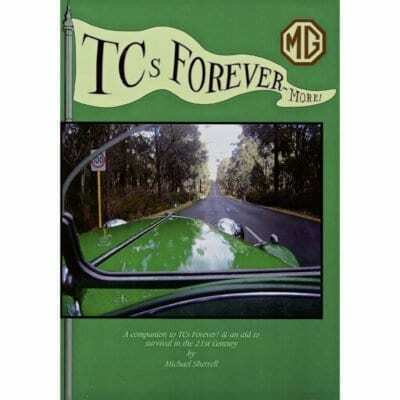 Please note, this DVD is in NTSC format and is compatible with DVD players in North America and Japan. 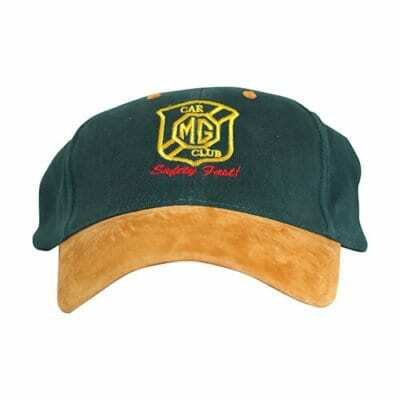 For the UK, Europe and the rest of the world buy the PAL version (advertised separately). 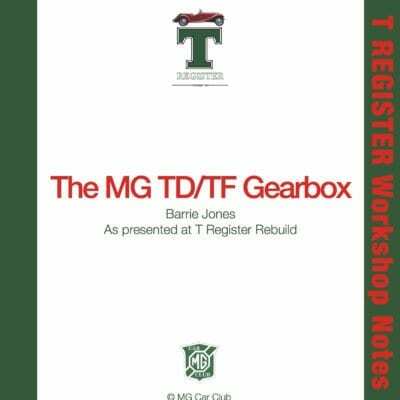 This Register publication, written by TD/TF Technical Adviser, Barrie Jones, is a useful companion to the TD/TF Gearbox video (see above). 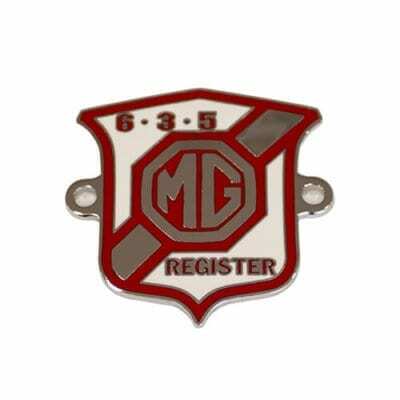 Show your pride in your MG3 or MG6 and the newest MG Car Club Register with this 635 Register grille badge. 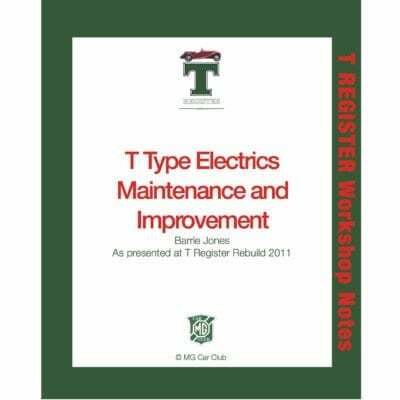 This 15 page T Register booklet, written by TD/TF Technical Adviser, Barrie Jones, covers the basics of electrics on all the T-Type models. 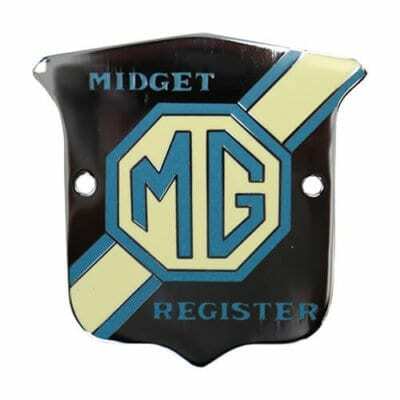 A useful reference document. 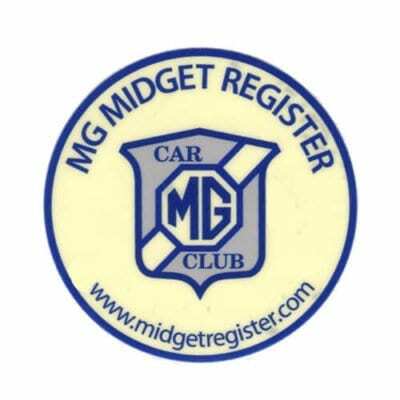 This is a recording of an unscripted presentation by George and Peter Edney (engine rebuilders) at one of the T Register’s ‘Rebuild’ seminars. The DVD covers both stripping down the engine and re-assembling it and lasts for nearly 3 hours, the time being split roughly 50/50 between strip down and rebuild.